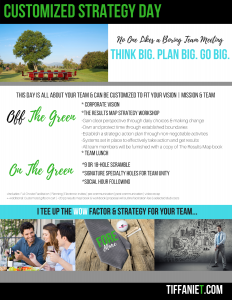 This is NOT your big corporate tournament – This is a special day with your team focused on GROWTH – STRATEGY – VISION & OF COURSE FUN! 1/2 DAY ON THE GREEN – SCRAMBLE FORMAT | WELCOME TO ALL SKILL LEVELS AND YES LADIES THAT INCLUDES YOU! 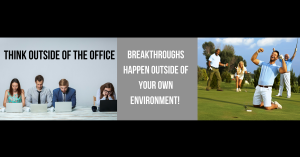 As a Licensed Results Map Strategist & Retreat Specialist – I have your back. This is your day not to be the boss. It is your day to UNITE – PLAN – GROW & PLAY WITH YOUR TEAM. 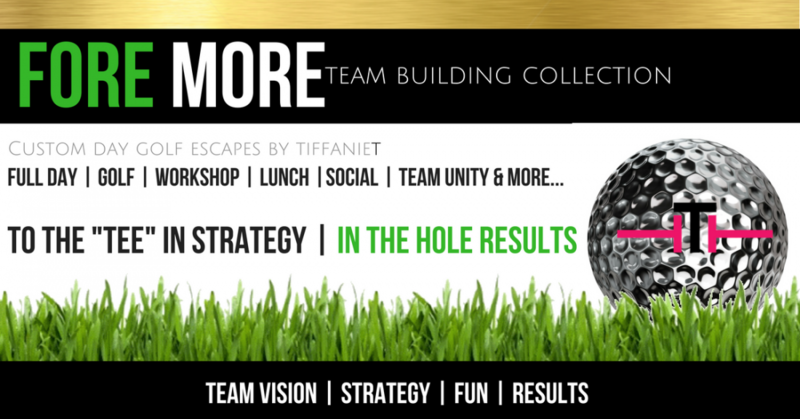 I partner with a golf club in your area to deliver an unforgettable team experience.